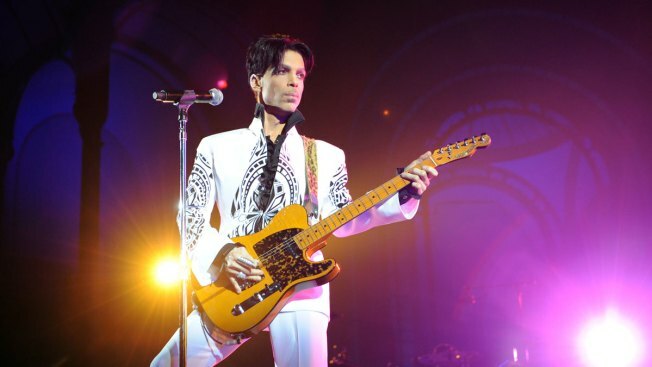 Prince performs on Oct. 11, 2009 at the Grand Palais in Paris. The two-year anniversary of his death comes with tributes in his native Paisley Park, Minnesota. A tribute fence will be installed at Prince's famed music studio and home in Minnesota as officials prepare for fans returning on the second anniversary of the rock star's death. The fence will be set up inside the grounds at Paisley Park, where Prince died from an accidental painkiller overdose on April 21, 2016. It will also display fan messages and artifacts that Paisley Park has archived. Paisley Park also announced on Monday new details about Celebration 2018, the second annual gathering for Prince fans from April 19-22. Ten more guest speakers have been added, including The Revolution members Bobby Z, Dez Dickerson and Matt Fink. The celebration includes a concert called "Prince: Live On The Big Screen" at Target Center in Minneapolis, where fans can also leave messages on a specially erected fence.